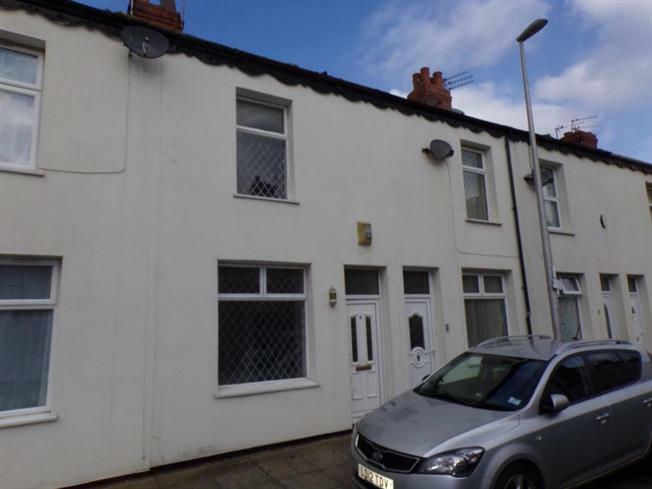 Two bedroom mid terrace property priced for a quick sale and would be an ideal investment/1st time buy. Situated close to Blackpool town centre and ideally placed for local amenities and transport links. The accommodation comprises good sized living room and kitchen, two bedrooms, family bathroom, There is gas central heating and a concrete yard to the rear. Single glazed window to the front, radiator, coving. Single glazed door and window to the rear, range of fitted wall and base units with complimentary work surfaces, electric hob, electric oven, extractor, plumbed for washing machine, under stairs storage cupboard, stairs to first floor. Single glazed window to the front, radiator. Single glazed window to the rear, radiator. Single glazed window to the rear, three piece bathroom suite conprising of bath with electric shower over, pedestal wash hand basin, low flush w/c, radiator, storage cupboard.